How to Create a Successful Crowd funding Campaign! 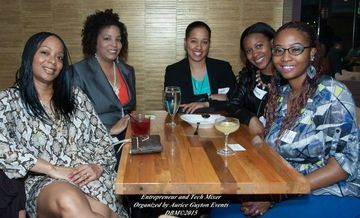 In order to survive as an entrepreneur, it's crucial to understand how to make the right connections, get the tools and inspirational education in order to grow your business. Localprenuers Meetup brings you fresh speakers, monthly training and networking to jump-start your projects and dreams. • Have great business ideas; however you don’t know where to start? • Clueless about Internet Marketing 101? • Have a website that's not working for you? • Need to learn the latest Web technologies to grow your business on a shoestring budget? • Want to use blogging or wordpress technologies to grow your biz? • Curious about how to build, use and grow your ideas with state of the art technologies for cheap? • Wonder, what the heck is “Social Media” such as twitter, facebook, yelp and others to help your business grow? If you are you are a small business owner with little clue about the Internet or currently own a business and you need a new web strategy; got a super business idea; are a newbie, serial entrepreneur, designer, web entrepreneur, home based business, corporate exec..... well, we want you in our group! Join us in the Eastbay as we present some truly great business and tech minds, trainings and network closer to home without crossing the bridge all the time. Let Localprenuers Meetup give you motivation, help and support! 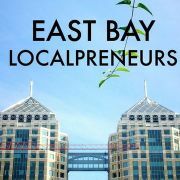 Join Eastbay Localprenuers Meetup today and don't forget to bring your business cards and watch your personal business directory grow! Please provide a photo of yourself when you join so that we know who you are when you come out to join us for an event!!! Our only rule is that you RSVP “Yes”, only if you are sure you will attend!